Tipped by many to be the next big thing for the All Blacks. The Hurricane shone in this season’s Super Rugby with his pace, offloading and incredible dancing feet. The Fijian beast has been called up to Michael Cheika’s Wallaby squad as a result of his powerful displays for the Waratahs. This guy is capable of a big hit, a Lomu-esque hand off and can turn on the jets to devastate defenders too. The Bath flyer had a Six Nations to remember for England as he showed great finishing ability each week to compliment his phenomenal step and speed. The Connacht centre has burst on the international scene this season for Ireland having been one of the countries brightest prospects for quite a while. He looked at home for Ireland at centre in both the November Series and in the Six Nations as he showed his physical edge to tie in nicely with his pace, confidence and intelligence. Perhaps the most exciting youngster of all. The Bulls utility back has been a real treat to watch in the Rugby Championship, most recently scoring against the All Blacks. Kriel has got vision, technique and an eye for a try. 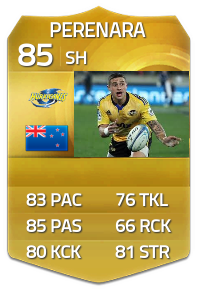 As the top try scorer in Super Rugby, Perenara was a star in a sensational Hurricanes team in 2015. 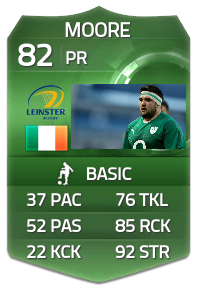 His strength and tackling ability makes him an unorthodox scrumhalf but just like Mike Phillips and Conor Murray before him, he is extremely effective. The South African ten is far beyond his years as he grows and grows with every game he plays. The Springboks have full faith in the youngster as though he has been around for years as he continues to kick goals with nerves of steel and conduct the play outside him. George Ford is unlucky here. 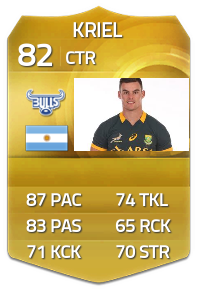 The South African loosehead was devastating for the Stormers last season. 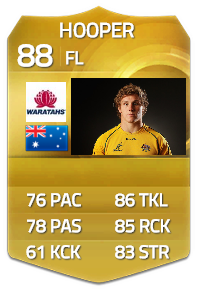 He is best known for his big tackles and his hard running but is also a well accomplished scrummager. He has earned a pay rise in Bordeaux as result of his performances, where he will play next season. Moore has become a very solud backup for Mike Ross for both Leinster and Ireland at the scrum. However, it is his great jackling ability at the ruck which has made him stand out from the crowd. An exciting teammate of Kitschoffs’. Ntubeni has become a fan favourite in Cape Town because of his exciting style which has complimented his security at set-pieces. 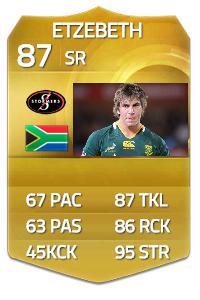 The fact that he is already seen as an experienced international at the age of 23 says a lot about Etzebeth’s freak ability. Standing at 6’8, he is a physical monster and loves to get into the dirty work at ruck time. Could go on to be a legend of the game. Another monster in second row here. Skelton was often been used off the bench for both Australia and the Waratahs to assault the opposition when they begin to tire last season but is now beginning to grow into a much more important player as his offloading game and fitness improves. 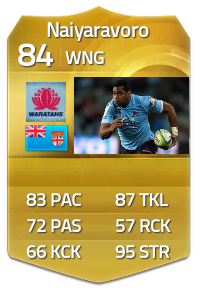 The Waratahs captain keeps on showing sheer class everytime he plays. The most all-rounded backrower in world rugby at the minute continues to pop up with trys, turnovers and plenty of big hits. Vunipola is a vital player for both Saracens and England. He brings a huge presence and can bounce defenders with ease. 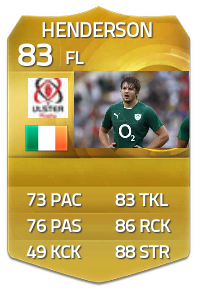 His offloading has also become a big feature in his game, making him of extra importance.